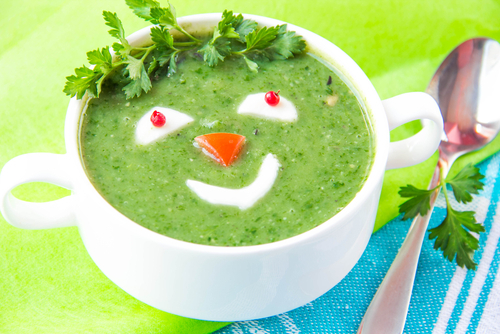 This soup is a great source of calcium! In a large pan, sweat the onion in the butter until soft, not browned. Add the potato and stock, and cook until the potatoes are soft (approx. 15-20minutes). When potatoes are almost cooked, add the watercress. Cook for just a few minutes. Liquidise and add cream, use a little extra milk if the soup seems too thick. So quick and easy!